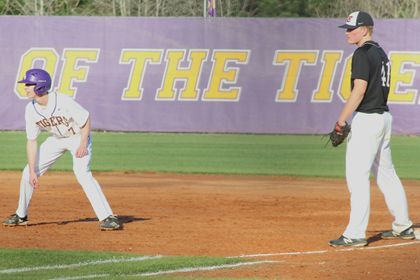 A dozen regular season games remain on the Tallassee baseball regular season schedule. Nine of those twelve will come against area opponents. 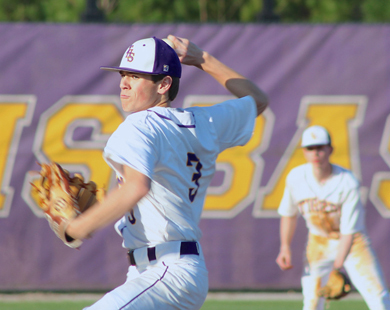 "If you look at it how the high school baseball season is set up, it's kind of like a pre-season before you get to area play," THS head coach Adam Clayton said. "The nine area games we play over the next three weeks is going to determine if we're hosting here first round of the playoffs, if we're traveling or if we're taking the uniforms up early. Hopefully, it's not the latter." Tallassee is 6-11 entering the last leg of the season. "I'm not focused on our record right now," Clayton noted. "Is it an effort issue? No. Is it an issue where we've had some injuries and things not gone our way? Yes. Are our kids still fighting through that? Yes. "Once area play starts in a three-game set, you going to need everybody because you really don't know how those games are going to go. You may have one guy on the hill that may not have a good outing and you have to go to somebody you weren't planning on going to. You need everybody. Some of our younger kids have stepped in." Tallassee plays Valley in Valley on Thursday, March 28 at 11:00 a.m. (Central Time). The Tigers host the Rams the following day at 11 for a doubleheader.